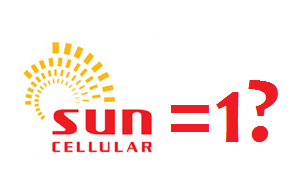 Sun is now the number 1 telco in terms of postpaid subscribers according to them. It's not really hard, and for me will only take time to happen (which is now) because first , sun offers the cheapest postpaid plan which is plan250, and second, sun started and is very consistent in their unlimited services offerings. Sun Cellular is now No. 1 in the postpaid business, with one million such subscribers and over 15 million prepaid subscribers. “We can meet peakload demand without congestion. This is the advantage of being a latecomer in the business. We got the latest and the best infrastructure, and are offering rates that could reduce a subscriber’s cost anywhere from 40 to 80 percent per month,” he said. I totally agree with the last paragraph above. Being a late comer, the infrastructure they're able to setup is the latest and far more better than their older competitors (its very expensive to upgrade infrastructure specially the legacy ones) , and even cheaper. We all know that the trend in technology is "new is cheaper and better", and it shows in cellphones, computer parts etc. “With every seven out of ten new postpaid subscribers coming to us, we have found the sweet spot. We expect to gain more market share in the near future since our rivals will not be able to match our unlimited packages,” he said.